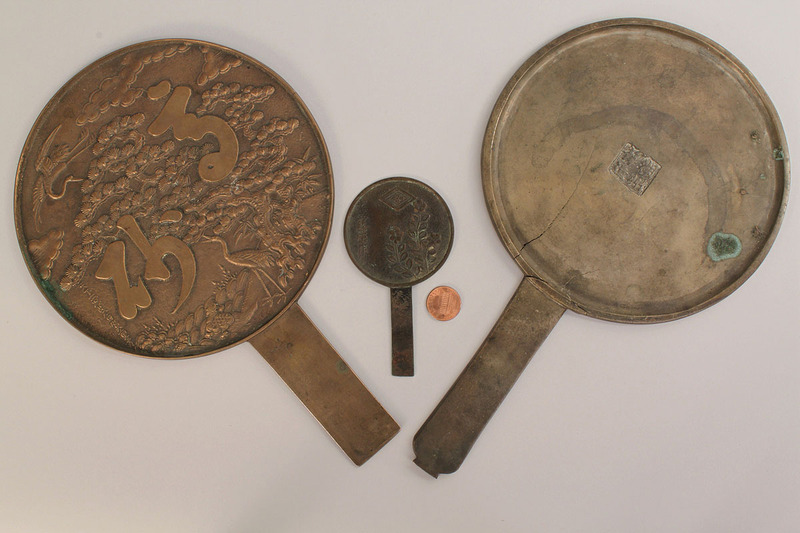 Lot of 3 (three) Chinese bronze hand mirrors. 1ST ITEM: Molded Chinese bronze hand mirror with impressed four character mark to center. 11 1/4" L. 19th century. 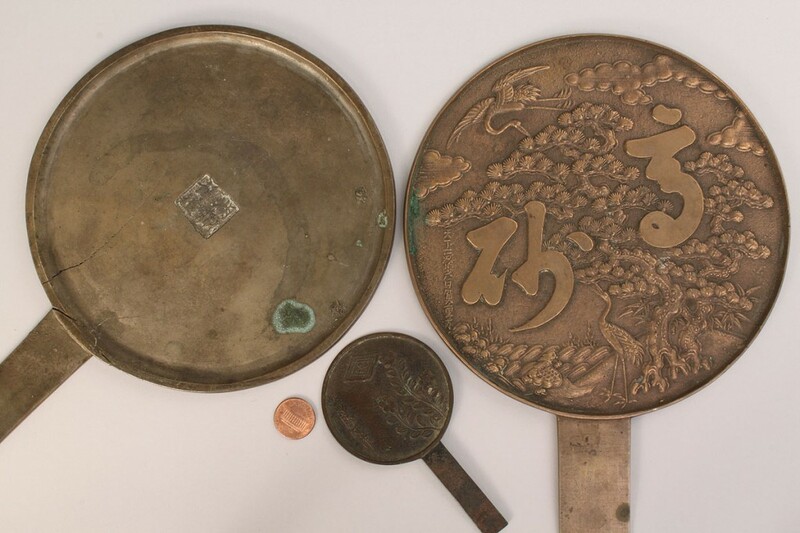 2ND ITEM: Chinese bronze hand mirror with relief decoration of pine tree, cranes and fowl, all symbols of longevity. Relief signature to left. 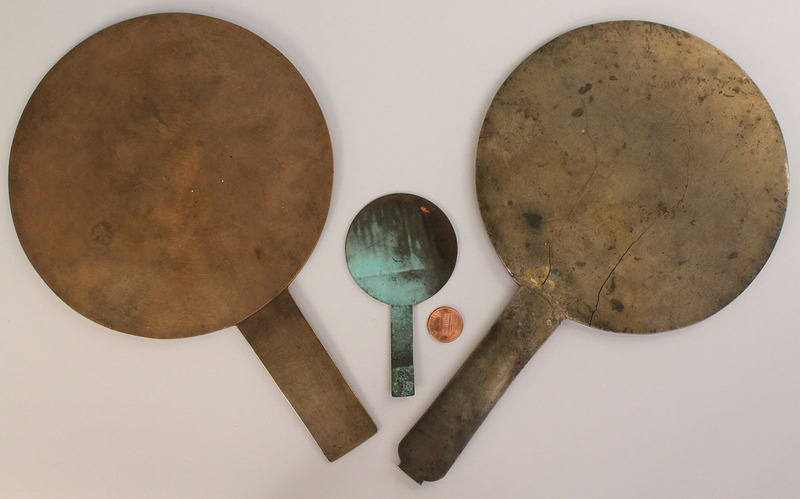 10 1/2" L. 20th century. 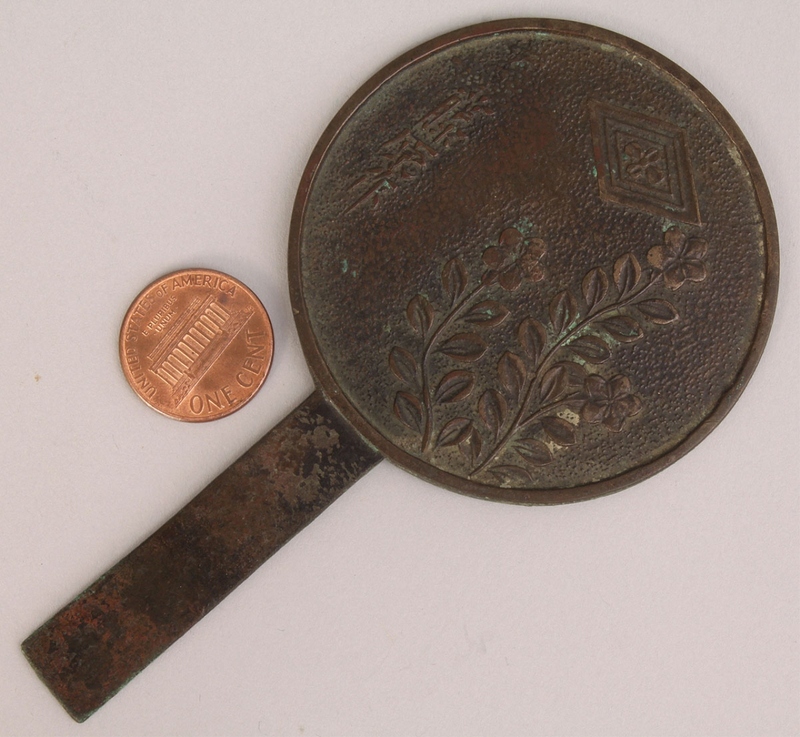 3RD ITEM: Small bronze mirror with relief floral decoration. Signature to the left. 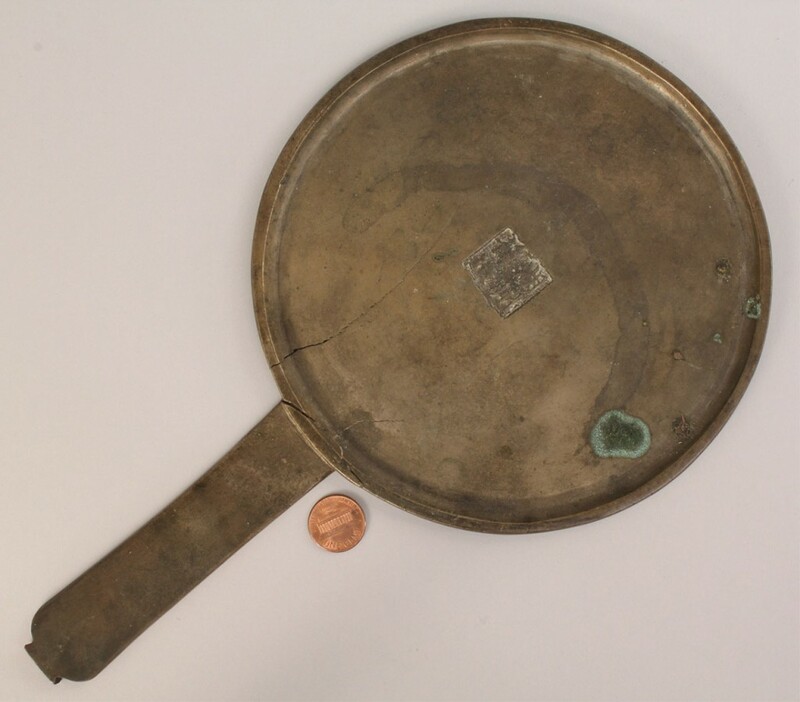 3 1/4" L" 20th Century. 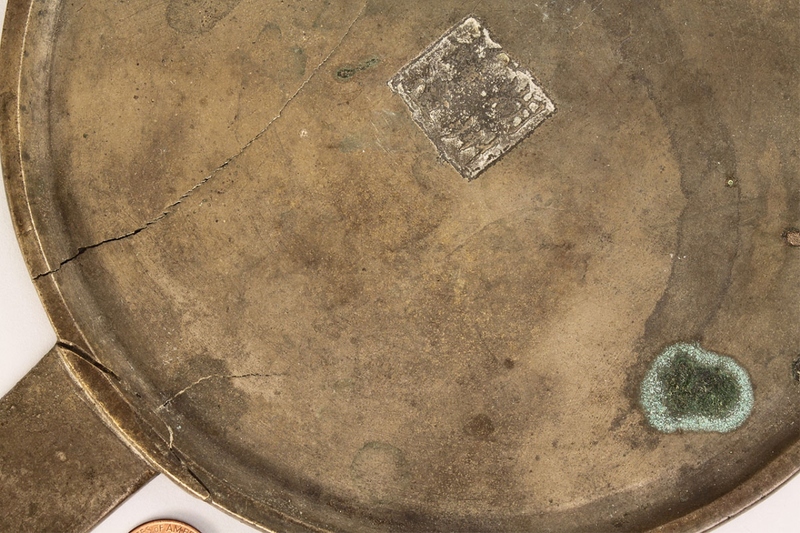 Condition: 1ST ITEM: Old repaired break to handle, some tarnish, age cracks. 2ND ITEM: Overall very good condition. 3RD ITEM: Overall very good condition with some tarnish.